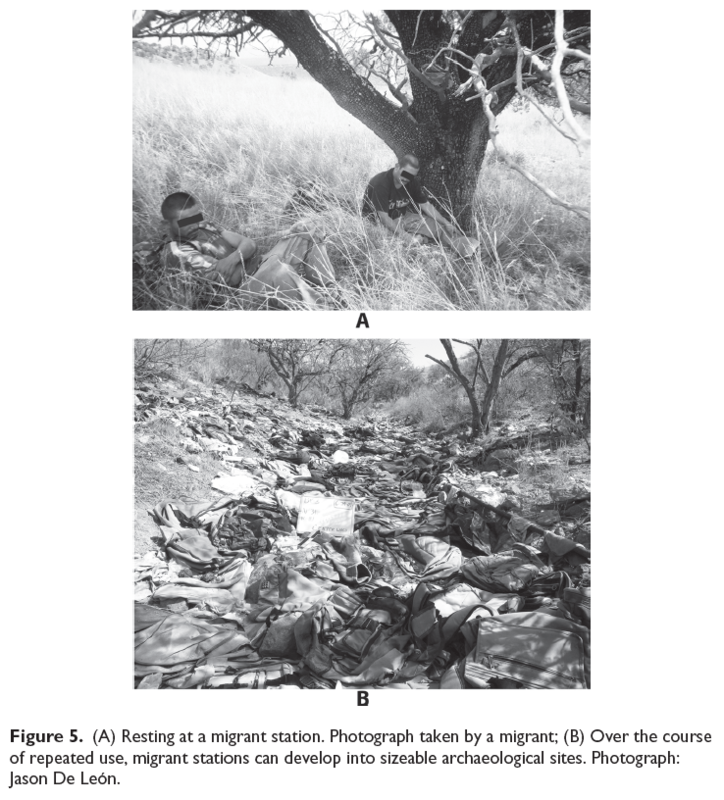 Image from De Leon’s “Undocumented migration, use wear, and the materiality of habitual suffering in the Sonoran Desert” Material Culture 18(4). 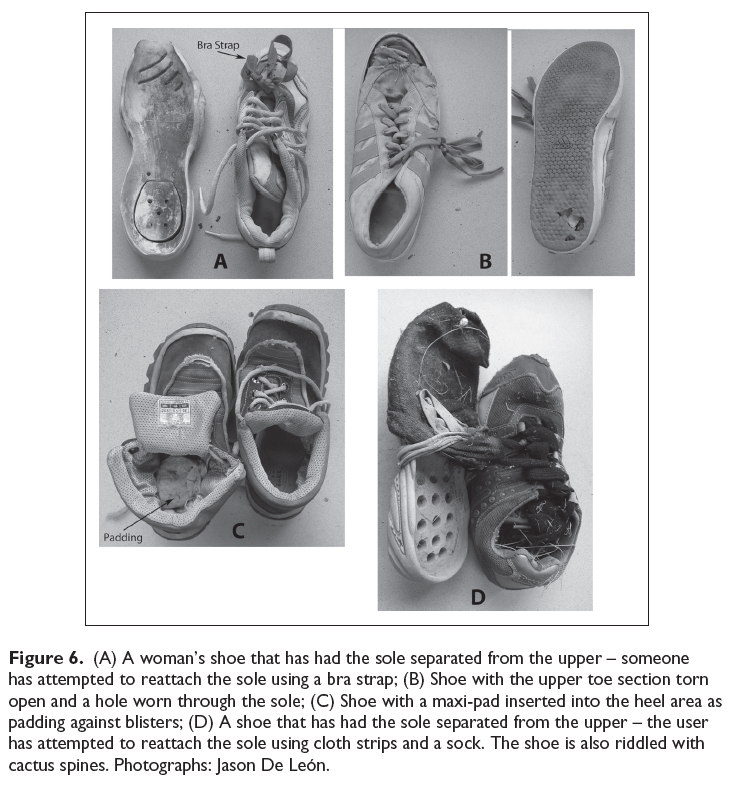 Image from DeLeon’s “Undocumented migration, use wear, and the materiality of habitual suffering in the Sonoran Desert” Material Culture 18(4). Jason de León is Assistant Professor in the Department of Anthropology, University of Michigan. He directs the Undocumented Migration Project (UMP), a long-term study of clandestine border crossing that uses a combination of ethnographic and archaeological approaches to understand this phenomenon in a variety of geographic contexts including the Sonoran Desert of Southern Arizona, Northern Mexican border towns and the Southern Mexico/Guatemala border. His research interests include materiality, violence, suffering, migration, the U.S./Mexico border, and Latin America. This entry was posted in Anthropology, Archives, Difference: Class, Race, Gender, Government, Human/Bodily, Methods, World. Bookmark the permalink.